Here at Game Crazy we have just finished up our Dead Space 2/Borderlands Action Figure Giveaway and we’re chomping at the bit to get you some new free swag! 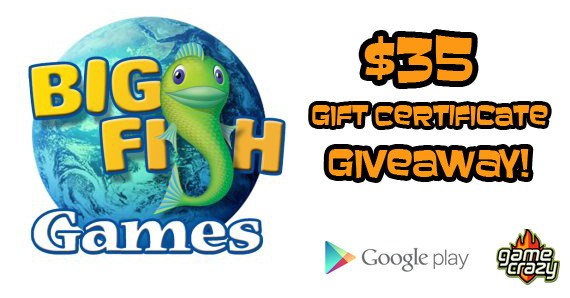 Luckily, our friends over at Big Fish Games have stepped up to provide this week’s excellent prize: a $35 gift certificate to the Google Play store! 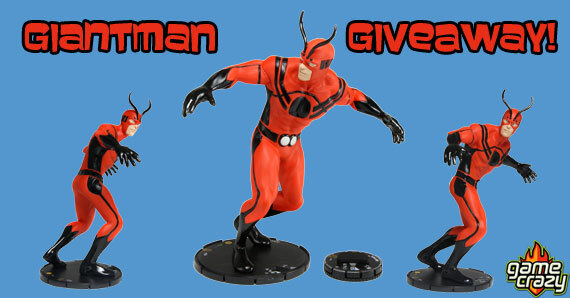 Keep reading for details on how to win. A $35 Gift Certificate for the Google Play Store! This gift certificate is good for any purchase on the Google Play distribution network, including music, books, magazines, movies, and of course, games and other applications for your mobile device! Don’t forget to check out Big Fish’s games for Android. 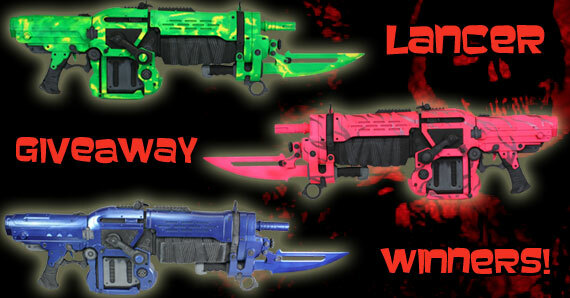 Provided by Big Fish Games! The folks at Big Fish Games are big believers that everyone is a gamer at heart and that games are a great source of joy and relaxation. With Big Fish Games, you’ll discover something new every day. They offer a broad selection of interactive games that you can enjoy anytime, anywhere — on your PC, Mac, mobile phone, or tablet. Don’t forget to sign up for their Game Club, where you’ll find yourself among individuals and families from more than 150 countries around the world who enjoy early access to games, great values, premium customer service, and much more. X-Men Apocalypse Figure! Dante’s Inferno Giveaway – Win a Dante Action Figure Plus a NECA T-Shirt! Borderlands Giveaway – Jakobs Claptrap Deluxe Action Figure! Dead Space 2 Giveaway – Light-Up Isaac Clarke Action Figure & NECA T-Shirt!